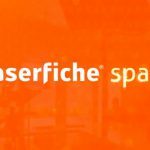 Laserfiche Spark, a live video broadcast that took place July 31, 2018, showcased industry trends and the latest developments in Laserfiche software. Over 1400 tech enthusiasts registered for the live event, which featured exciting Laserfiche updates, product release information, and the latest statistical findings in digital transformation. Laserfiche Product Marketing Manager and digital transformation expert Catie Kolander shared some of the most recent research on digital strategy and cloud technology with Spark attendees. Research suggests that while paper continues to be a barrier to a majority of those in their digital journey, most are forward-looking, and willing to prioritize process automation and cloud technology to achieve business goals. Catie shares, “79% of respondents whose organizations have implemented a digital transformation strategy say that cloud is very important to it,” and the market is expected to grow. Cloud technology is allowing organizations to rethink IT services and how they are used. If your IT department moved some of your applications into the cloud, they wouldn’t be focused on solely managing your infrastructure. They could help you to focus on innovating on other parts of your organization or new technologies. 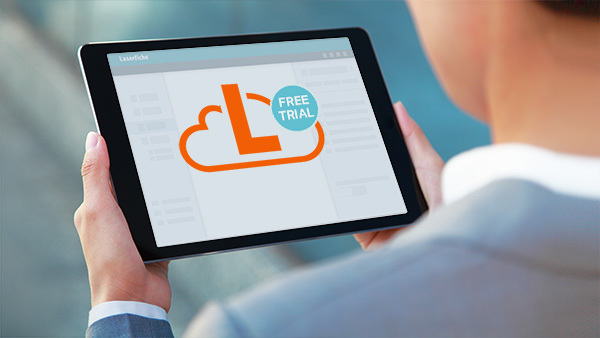 Learn more about Laserfiche Cloud technology here. Catie also shared details from the Laserfiche Digital Transformation Model as an example of defining your organization’s current level of experience, needs and goals on the path to becoming a digital workplace. For a comprehensive self-assessment of your organization’s state of digital transformation, visit transform.laserfiche.com. Technical Product Manager Sarah Wefald gave viewers a glimpse at how Laserfiche Business Rules enables organizations to define their policy logic separately from their process workflows. Business Rules are definitions of repeatable actions, decisions, and polices that allow organizations to define their business logic separately from their process workflows. Any repeatable set of conditions can be captured in a Business Rules designer without requiring any code. Once defined, these rules can be applied to multiple processes or even in multiple forms. Learn more about the benefits of Business Rules here. RPA is an emerging, cost-effective technology, and it’s is playing a significant role in digital transformation. RPA can free your employees from tedious tasks so they can focus on innovation, growth opportunities or free up employees to focus on more rewarding, customer-focused work. Robotic Process Automation involves software “robots” (or “bots” for short). These bots are specialized to work directly across user interfaces, performing repetitive, manual tasks that mimic the actions a person would normally have to spend their time doing. Employees would be able to focus more on productive, rewarding activities where they can be more creative and better apply their talents. Ease of Use. As Yin puts it, “there’s a low technical barrier to start working with RPA – it does not require any programming skills to set the bots up. A unique feature of Laserfiche RPA is that you can actually record the actions that you want to automate. Ease of Integration. For organizations that can’t afford to have extensive IT or developer resources integrating multiple applications together, RPA gives you an easy way to non-intrusively tie different systems together. Whether optimizing end-to-end automation initiatives or enabling employees to be more efficient in minimizing manual tasks, RPA helps fill in the gaps as a powerful, complementary automation technology tool to reduce costs, increase productivity, and have employees do the work that only they can do. To learn more about Robotic Process Automation technology, click here. Maureen Geudtner, Product Marketing Manager, and Justin Pava, Principal Technical Product Manager shared some of the most recent features in the Laserfiche app . The new auto-sync feature automatically syncs up all offline content with the Laserfiche repository. Users can view, modify, and create new documents even while offline. When connected to internet access, these modifications and new documents will be automatically uploaded to the repository. With the new real-time auto-crop feature, users can easily use their mobile devices as a mobile scanner to capture receipts, notes, or important document pages. The app will crop the photo in real-time, intelligently identifying the specific piece of content you want to obtain, and generate accurate and searchable text as if it was manually scanned. New Maps functionality. While uploading a photo into the Laserfiche repository, the app will use your devices’ GPS functionality to associate a photo with its location. This provides powerful new search capability allowing users to select Maps and search by their current or specified location. Drag and drop content from third party apps in and out of Laserfiche. 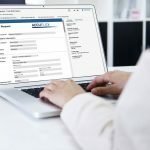 Users can drag and drop Laserfiche content into apps such as iOS email or a camera library, and vice-versa to allow for simpler integration between apps. We are working on Mobile Device Management (MDM) support which will allow the Laserfiche App to be more closely tied into device management. This new feature supports ability to push the Laserfiche App to managed devices with preset configurations such as the Laserfiche Server and repository information already set. This aids in security, as only managed devices are able to connect to the company servers, and the devices themselves can only connect to pre-designated servers. Another exciting new feature is the inclusion of ESRI support to our Maps functionality. This will allow organizations with ESRI to view relevant document or form types, like inspection forms or permits, in their map layers directly through the Laserfiche App. We invite you to download the free Laserfiche app from Apple App Store, Google Play and Windows App Store and take a test drive today using our test repository! Click to learn more about the Laserfiche App 10.3 Release and view other resources. Laserfiche Spark was full of exciting conversations surrounding Laserfiche product updates, industry trends, and tips for furthering your digital transformation journey, armed with the right tools and strategy to aid in future success. Thank you to all who were able to attend Laserfiche Spark! Visit Laserfiche.com/spark to view the live broadcast recording on demand.